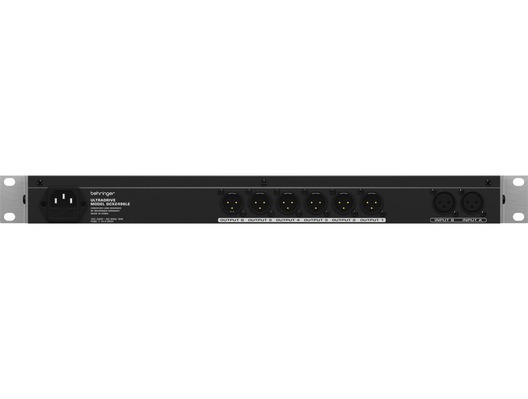 The Ultradrive Pro DCX2496LE is the ultimate digital loudspeaker management system with an unheard-of audio quality and feature list. It is an indispensable tool for the precise set-up of multiple loudspeaker systems or arrays. Installation contractors, live-sound engineers, cinemas/discotheques/concert hall operators will quickly learn to love this models rich features. Signals can be split in various ways to assure precise sound by using the optimal frequency range of each loudspeaker. Here we have the Behringer DCX2496LE (LE Version) Speaker Management System in manufacturer refurbished which will come boxed 'as new' with a 1-year warranty. Buy this amazing DCX2496 LE with confidence with 100% satisfaction guaranteed or your money back!